With the election now underway, the candidate who manages to make an apathetic nation feel something will surely be the winner. Whoever offers more of the same will come up short. The choice for voters at the 2019 federal election—called by Scott Morrison for May 18—will, in an important respect, be exactly the same as every other election held since 1910. Voters will get to choose which of two sides next gets to run the country. In 1987, Australian voters also changed the country by returning the Hawke government. In doing so, they postponed a Howard prime ministership by almost a decade, and ensured policies that were still contentious in 1987—such as Medicare—would survive the opposition of the free-marketeers in the Liberal Party. The combination of economic rationalism and social protection that the Hawke government had pursued since 1983 would survive because electors decided they were unwilling to support a more bracing conservatism. Voters have made it clear they want governments to do something about inequality, and they are unable to accept that the operations of the market and the interests of the public amount to the same thing. A temporary rise in commodity prices has provided the basis of a spending free-for-all in which both government and opposition have joined, each aimed at buying an election victory. But no one seriously imagines that any temporary budget improvement represents a long-run trend in Australia’s economic circumstances. In line with global developments, for the foreseeable future, we are likely to experience lower rates of economic growth than those to which we have been accustomed. Australian voters are also now much more preoccupied with how the neoliberal consensus of the 1990s and early 2000s, whatever it has achieved in the past, now works against their interests. They are concerned about their flat wages and the rising cost of living. They demand that governments make the wealthy contribute a fair share to meeting the tax burden. They are impatient with what they see as the greed and amorality of big business and big government. And they are less tolerant than a generation ago of rising inequality. But above all, they really dislike politicians. This is not new—it was there even in colonial times—but it is potent and growing. 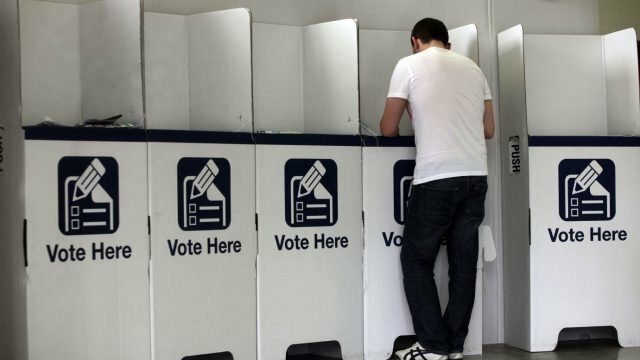 The Australian National University’s Australian Election Study revealed that the 1996 and 2007 elections—each of which saw a change of government—coincided with a rise in political trust and satisfaction with democracy. The 2013 change-of-government election did not. At the 2016 election, trust fell to alarming proportions. It may well be that this number—which Antony Green’s hardworking computer will not spit out on election night—is really the one to watch once the dust settles on the 2019 election. Frank Bongiorno (born Nhill, Victoria, 1969) is an Australian labour, political and cultural historian. Prior to joining the Australian National University, he held lecturing positions at King’s College London (2007-11), the University of New England (2000-07) and Griffith University (1996), and also taught previously at the ANU (1994). He has been an Australian Research Council Postdoctoral Fellow at the ANU (1997 and 1998-2000), and in 1997-8 was Smuts Visiting Fellow in Commonwealth Studies at the University of Cambridge and Mellon Visiting Fellow at the University of Texas at Austin. He has worked for the Department of Foreign Affairs and Trade.